Wer auf Convertibles steht, findet im tm2 einen idealen Begleiter (899 Euro). Einzig direktes Sonnenlicht sollte man wegen der Beschaffenheit des Touch-Displays eher meiden. 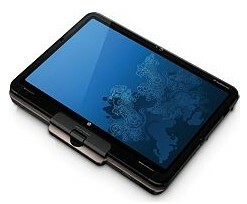 There are surely some things we'd change about the HP TouchSmart tm2 – we'd remove the battery bump, slim down the entire chassis, put in a normal touchpad, and speed up the Touchsmart software – but for an $899 starting price and now with its Core i3 upgrade, it's actually one of the better convertible laptops for students or just those that just want to reach out and touch a screen. Of course, slate-like tablets are the new thing, and some will opt to pick up an iPad and then a cheap laptop to get their computing fill, but there's still something appealing about having an all-in-one device that can do it all. We really just wish the touch interface did its thing a bit more briskly. The HP Pavilion TouchSmart tm2 is an ultra-portable convertible tablet PC. With an aluminium casing and all-rounder configuration, it has been designed to handle a variety of tasks: photo, video, design, office work. 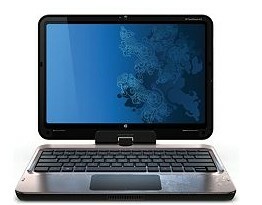 HP’s TouchSmart tm2 is a nice, well put together machine. 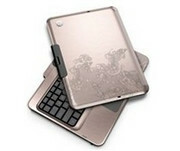 We like its battery life, performance levels and the touchscreen which is pleasant to use. Overall the finish and usage is a success. It’s just a shame that it isn’t lighter, slimmer and quieter. 73.33%: Diese Bewertung ist schlecht. Die meisten Notebooks werden besser beurteilt. Als Kaufempfehlung darf man das nicht sehen. Auch wenn Verbalbewertungen in diesem Bereich gar nicht so schlecht klingen ("genügend" oder "befriedigend"), meist sind es Euphemismen, die eine Klassifikation als unterdurchschnittliches Notebook verschleiern.